Even surprising stereotypically less-than-healthy companies like Coke and Pepsi are banking on the beverage, as they expand into healthier options. 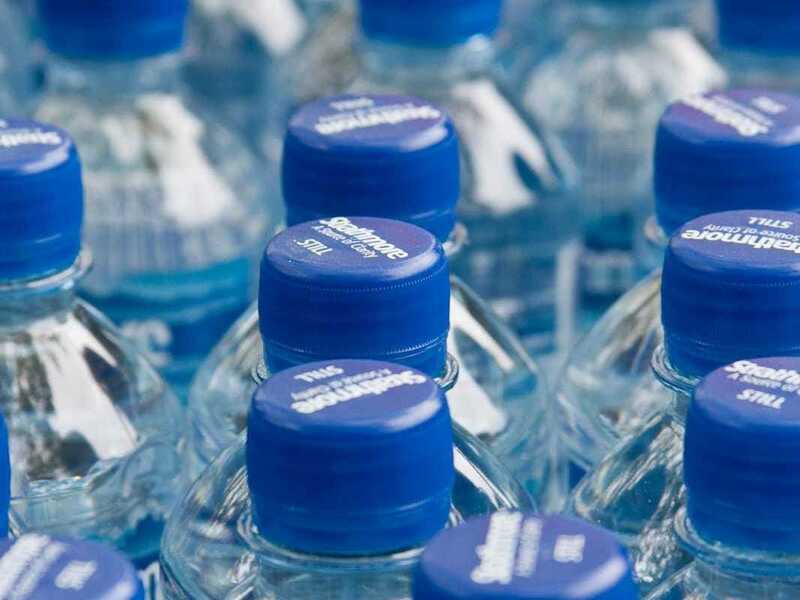 Americans have collectively cut 61 to 68 trillion calories from their diet over the past 15 years due to the increasing popularity of bottled water, according to a new report from the Beverage Marketing Corporation. Total volume of bottled water sales exceeded 11.7 billion gallons in 2015, compared to 4.7 billion in 2000. Using these figures, the BMC estimated that on average, individuals saved 24,000 to 27,000 more calories in 2015 compared to 2000 by choosing bottled water over other options. The rise of bottled water, today a $13 billion industry, has been supported by companies best known for less-than-healthy beverages, with brands such as Coke’s Dasani and Pepsi’s Aquafina. Coke is in a similar situation, announcing in April that sales of “still” beverages including water and Minute Maid had increased 7%. Its packaged-water volume increased in the double digits in the first quarter of 2016, outpacing increases in other healthier ready-to-drink options, sports drinks (7%), and tea (2%). However, while organisations like the BMC and companies like Coke and Pepsi hail the rise of bottled water as kicking off a new, healthier era in the beverage industry, others are more suspicious. “Bottled water is the marketing trick of the century,” writes John Jewell in The Week. Companies selling bottled water, he argues, have managed to convince Western consumers that buying water is a healthier choice than sugary soda, something that the BMC’s statistics support. According to Jewell, the comparison is a case of false equivalence. Bottled water isn’t simply an alternative to soda — it’s an alternative to the much more inexpensive and eco-friendly tap water. “The purchase of bottled water allows us to communicate our uniqueness and the care we have for bodies and the environment,” Jewell writes. Bottled water might be making Americans healthier, but given the size of the industry, it’s also potentially sapping billions of dollars from consumers. For better or for worse, much of that money is going to the same companies that sell the sugary sodas that Americans buying bottled water supposedly hate so much.